Find the best place for diving !! Welcome to the site of " Live and let dive.com " ! This site is made for the enthusiasts of scuba diving, beginners or experienced. You will find a multitude of informations on the places there where to dive all around the world, informations on the practice and the patents, links and addresses on the diving schools, and a lot of other informations ! Now ready to dive into the watery depths ? Put on your mask and fins, today we take you diving in the most beautiful spots in the world in the discovery of an unreal world where mix multicolored fishes, manta rays, sharks, luxurious corals, in brief a perfect, magic ecosytem which reminds to us how much our planet is fragile. Dive into turquoise blue waters of the Maldive Islands in the discovery of a colorful paradise and swim with manta rays, play with dolphins in the Bahamas Archipelago, explore an old bomber of the Second World War in Micronesia, evolve in the submarine galleries of the cenotes of the Yucatán, there will be something for everyone ! For lovers of the oceans, take a look at our " gallery ", breathtaking photos and reports... Enthusiasts of scuba diving, you are on the right site !!! We offer you to discover the main dive destinations in the world by country. Go to the "Where to dive". 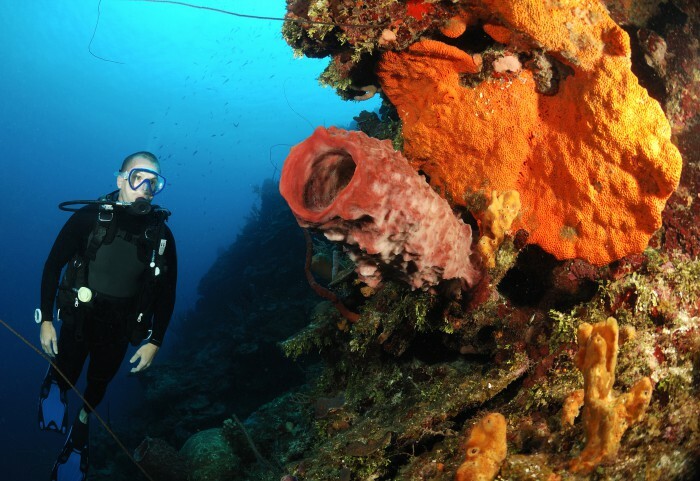 You can even consult offers diving tours operators directly, or even request a quote online, under "Offers". Last edition Diving around the world.